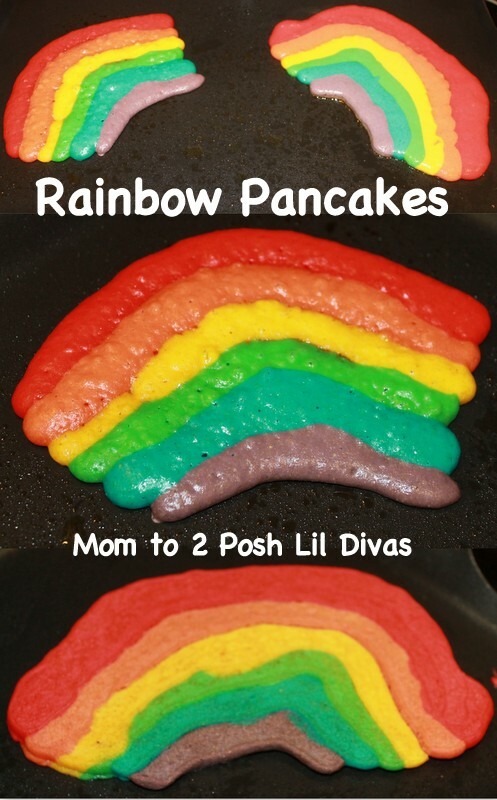 & my absolute favorite thing to do is try my hand at making fun pancakes. 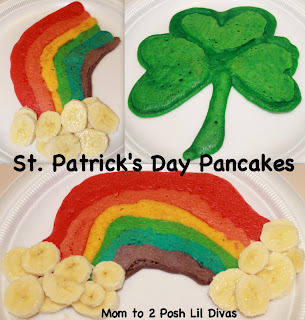 In honor of St. Patricks Day I made rainbow and shamrock pancakes. they make drawing on the skillet/pan super easy. 1. Use your regular pancake batter/mix and separate it into 6 bowls. 2. 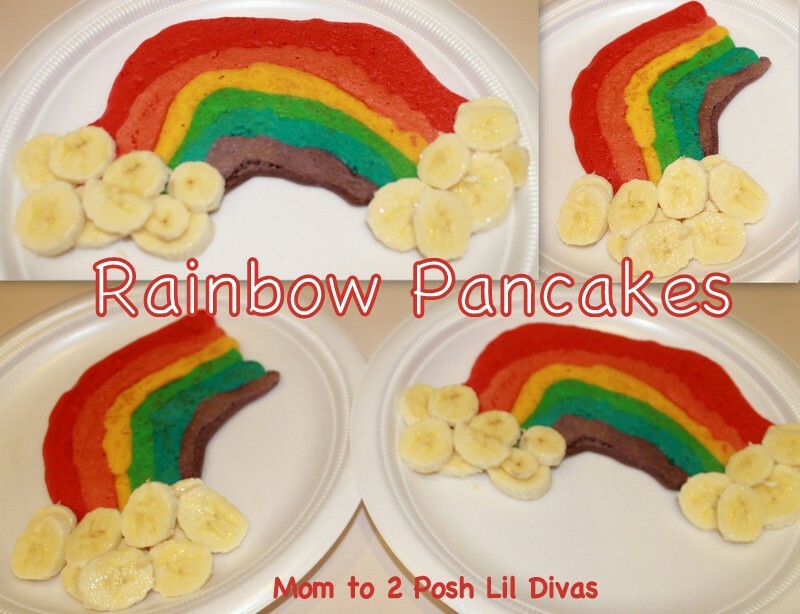 Mix with food coloring to get desired rainbow colors. because I only have 4 bottles and it worked well. 4. Create rainbow arc on pan, 1 color at a time. I let it cook well on 1 side before flipping to prevent breakage. 5. Use whipped cream or bananas as clouds & Enjoy! making sure they meet at the points as seen below. 3. 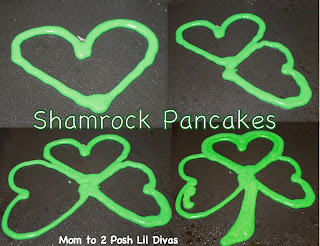 Draw stem and then fill in the entire outline with pancake batter. 4. Allow pancake to cook well before flipping to minimize chance of breakage. 5. Add syrup & enjoy! 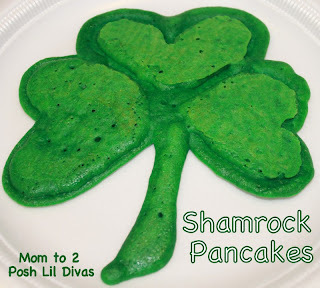 Have you made any fun St. Patrick's Day themed foods? Please comment (or leave a link) below to share. These are adorable!!! Your girls are very lucky. So much fun! who won't love the rainbow and shamrock pancakes. love them! These are so cute. Pinning! Wow! 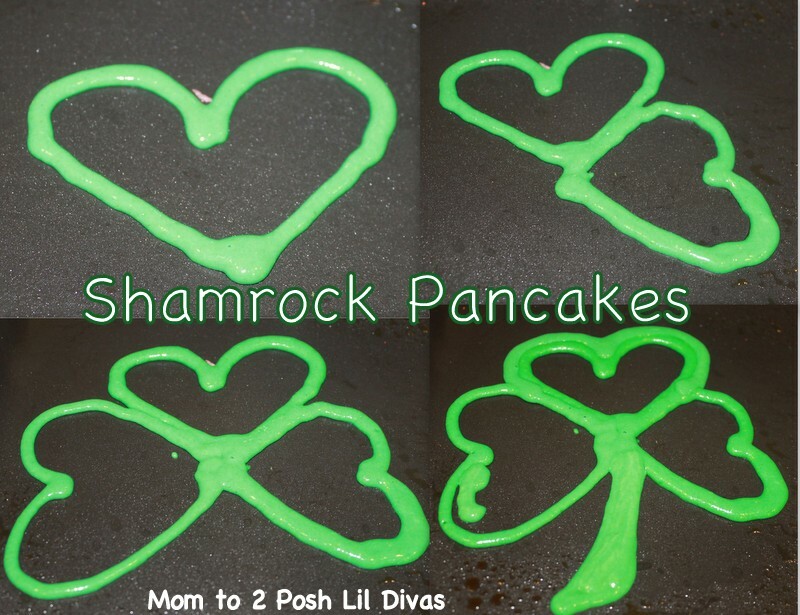 Your pancakes turned out AMAZING! I can't wait to give this a try! 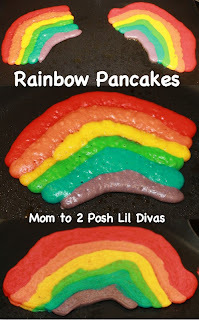 My daughter always asks for rainbow noodles...next step... pancakes! Oh my! You are ONE FUNNY lady!! Did you really make all those different colour batters!? Wow.